The history of Irish windows begins in the early eighteenth century. Few windows from before this time survive. Indeed up until the 17th century in Ireland there was no glass making and the need for defence overruled the need for windows. In more modern times, the ambiance of a building relies greatly on the light that enters. 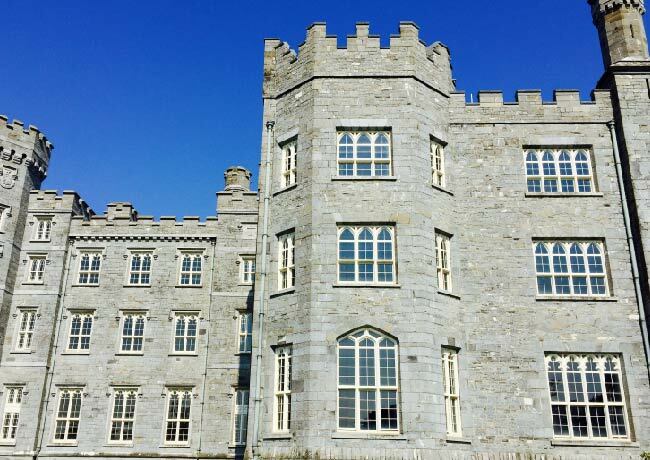 In Ireland, as in the UK, history can be seen through the style and shape of the windows which were influenced by the political and economic conditions of the time. Before the 1600s, windows in Ireland were typically small, and in the early times nothing more than slits for arrows. During the 1600s, there was a definite change as the first glass-makers set up in Ireland and windows were characterized as having small square panes. This reflected the capability of making glass at the time. 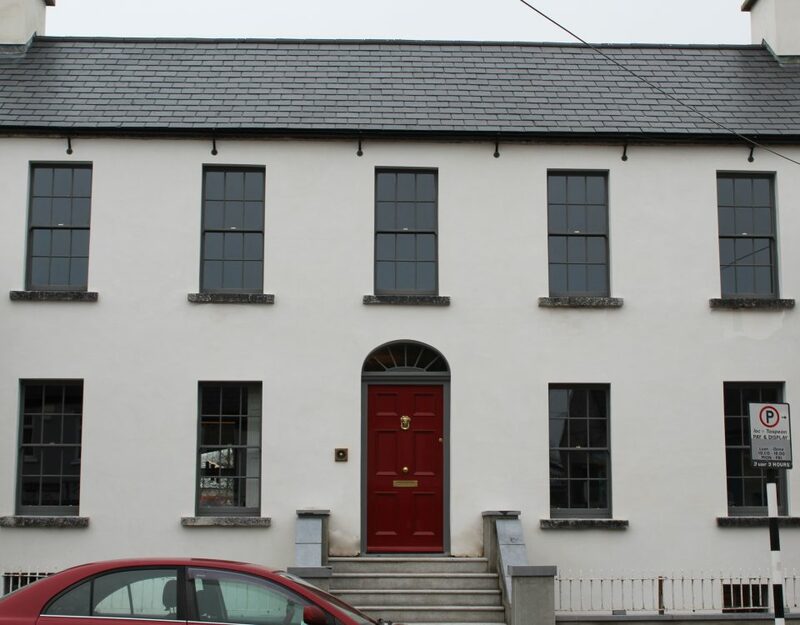 It was the advent of the sash windows that greatly changed the aesthetics of buildings in Ireland. 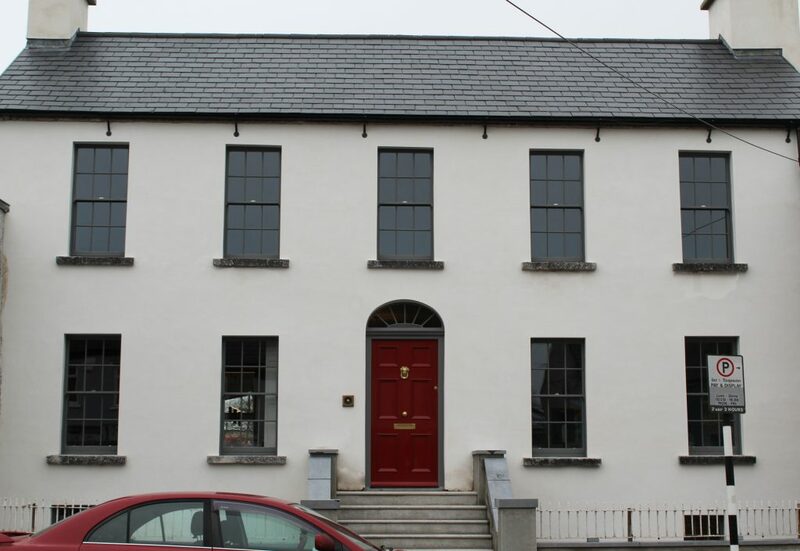 Sash windows were introduced to Ireland from the UK in the late seventeenth century and were widely used by the 1700’s. They are ideally suited to the Irish climate as they allow ventilation without allowing the rain to come in. From the 1700’s to the mid 1800’s, the profiles of windows changed with advances in glass-making, joinery and metalwork. Typically the windows got larger with slimmer glazing bars, typically 6 panes over 6 panes. This maximised the light entering the homes which greatly improved the standards of living. 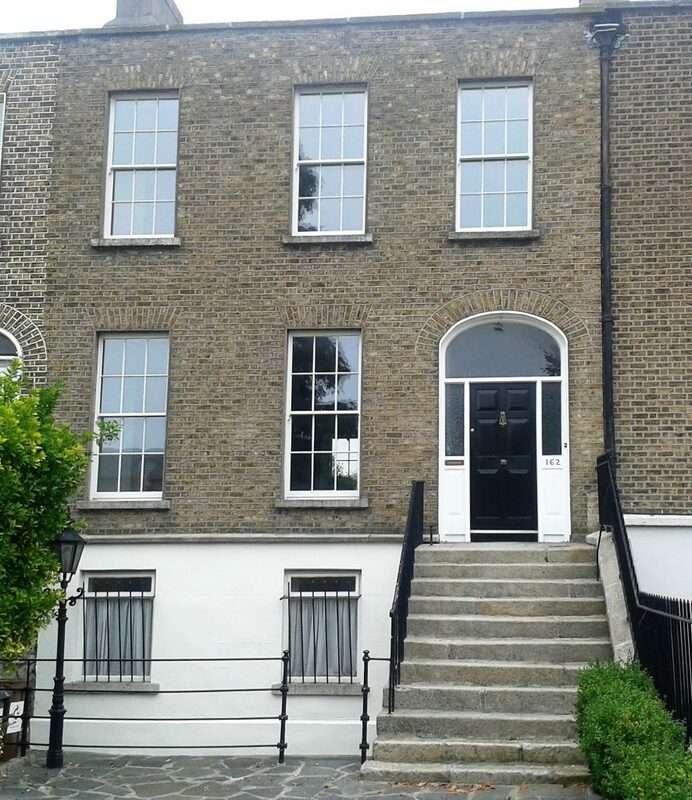 In Ireland, the big contributing factors economically that influenced window design were the window tax between 1799 and 1822 followed by the, much protested, glass tax between 1825 and 1845. This tax was higher in Ireland than in England. 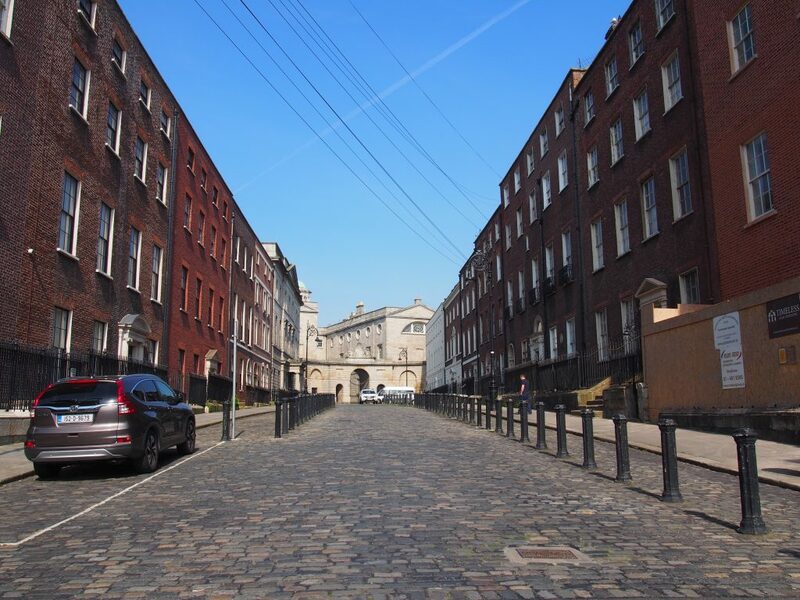 The window tax influenced the number of windows in a dwelling, whereas the glass tax influenced the weight of the glass (thereby the size of the window and the type of glass). Culturally, during the Georgian era (1714 – 1830), decoration was lavished on the interior of the building. The windows and front door were the only decorative features externally. The features of the Georgian sash windows are thin refined glazing bars and deeper reveals (the way the window is inset against the wall). The glass evolved from crown glass to spun glass. Conversely, the Victorian era (1837 – 1901) saw further changes in glass making, a Gothic revival and later in the 1950s the introduction of float glass (also known as Pilkington glass). As window design evolved, so to did the more decorative elements. The mouldings on the glazing bars reflected different capabilities of the joiners as gothic, lambstongue and ovolo mouldings featured. The number and position of windows in period homes is influenced by the Golden Ratio. This ratio is whereby mathematics meet architecture. The product of carefully calculated dimensions result in a structure that is pleasing to the eye. The formula behind the Golden Ratio is that the larger number divided by the smaller number is also equal to the sum of the two numbers together divided by the larger number. This ratio has been known since early Grecian times and has been used to calculate the dimensions of harmonious windows. You can read more about the fascinating mathematical Golden Ratio and design here. It is obvious with historic windows that the timber used was of extremely high quality. The longevity of these original sash windows, many more than 200 years old already, is down to the slow growing pine that was commonly used. The mass production of modern timber does not allow for windows to have such a lifespan. This is why it is so important to conserve the original sash windows as much as possible. City and county councils take care to retain the built heritage and as such require owners to restore and refurbish windows, including the historic glass, to their best efforts. During the 1800s, mass produced plate glass became a feature in notable residences defined by large glass panes and an absence of glazing bars. However, fashionable small panes still prevailed until the 1950s when sash window production declined completely. Cylinder glass and crown glass were the precursors to Pilkington float glass. Early glass has a characteristic swirl pattern from the manufacturing process. Historically, linseed oil paint was used on windows. This has now been mostly replaced with water or solvent based paints. Linseed putty was also in general use to glaze timber windows. This is still in use on historic windows, however, where double glazing can be introduced a similar putty is used that is more compatible with the glazing units. Great care must be taken in the upgrade of historic windows. The character of the property or the windows should not be altered in any way. Furthermore, such homes were designed to breathe, and sealing up the windows will reduce the overall health of the home. Insulating the hot water tanks, pipework and the attic should be the first line of defence before the windows. There are a number of fixes that can be sought after however, to upgrade original windows. Concerning the windows specifically trickle vents can help with condensation, draught proofing can help with draughts and internal secondary glazing can increase insulation without affecting the original window. The timber can be repaired by splicing in new sections where rot is apparent and new sashes fitted if necessary. 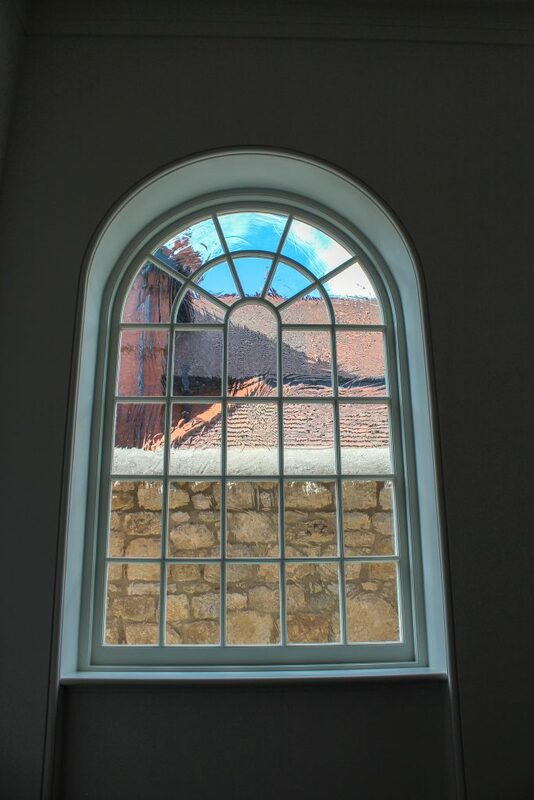 In our joinery we have a specialist section where window conservation is carried out. 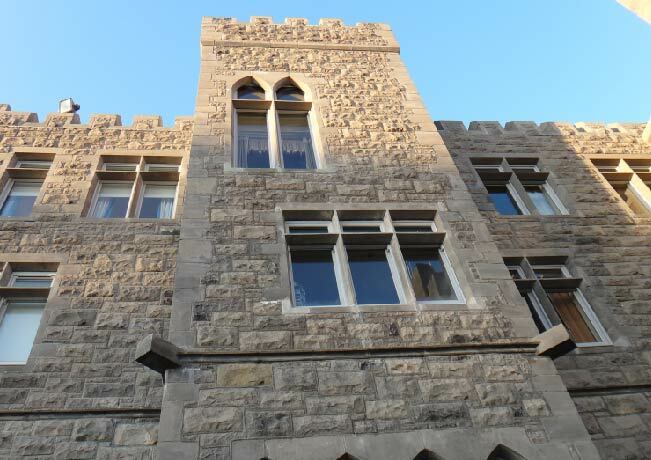 We have a team of expert craftsmen that assess the condition of each window individually and complete accurate repairs. The glass is preserved as much as possible. In some cases where double glazing can be retrofitted, the Timeless Slim Glaze system (Architects Choice Awards 2018) is used to maximise the thermal efficiency of the window. For further reading on the history of Irish windows, we can highly recommend the “Legacy of Light” by Dr Nessa Roche. Here the author reflects on the artistic nature of sash windows and their enduring value. Dr Nessa Roche is an architectural historian and conservationist.